Exotic, colourful fish swim together in the 30-meter-long aquarium that holds 1.2 million liters of water. 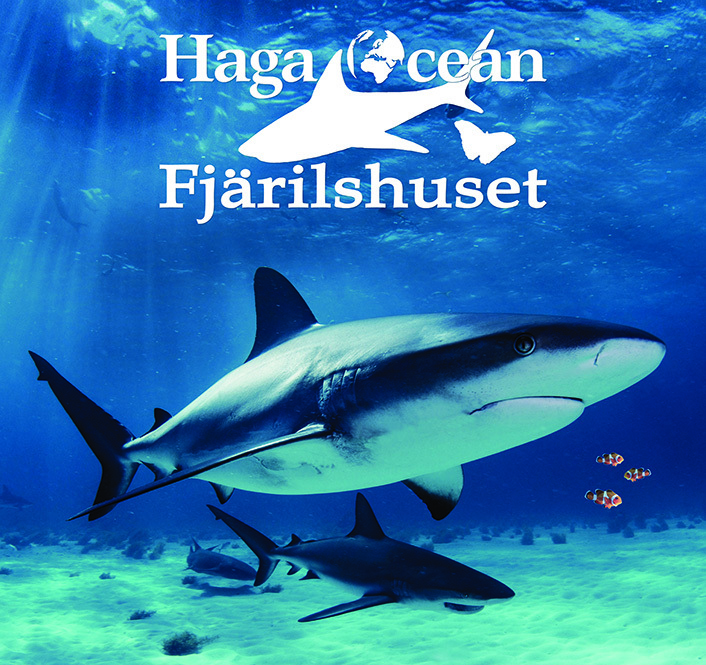 The Butterfly House Haga Ocean includes one of Scandinavia’s largest shark aquariums. Large and small reef sharks as well as numerous exotic, colourful fish swim together in the 30 meter long aquarium that holds 1.2 million liters of water. At the aquarium you can see the Blacktip Reef Shark, easily identified by the prominent black tips on its fin and the Sandbar Shark, one of the biggest coastal sharks in the world, easily distinguishable by its very high first dorsal fin. The Butterfly House covers over 3000 square meters and the environment inside is completely tropical. The temperature is never less than 25 degrees during the day, and at night it is always at least 18 degrees. 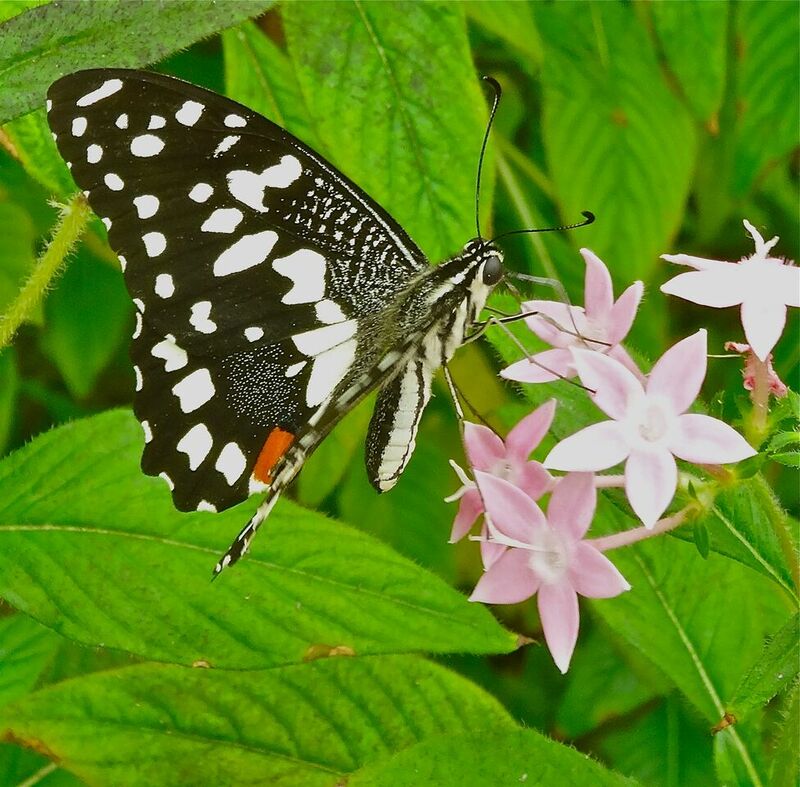 During a single year, several thousand butterflies live here, and every time you visit us here there are at least 700 different varieties of butterfly species to see. Conversely, get up close and personal with the unique black tip reef shark at the fascinating Haga Ocean. Make sure you enjoy the feeding of the koi carp, every day at 1pm. Additionally, opt to enjoy a picnic lunch by sitting on the unique lawns outside.